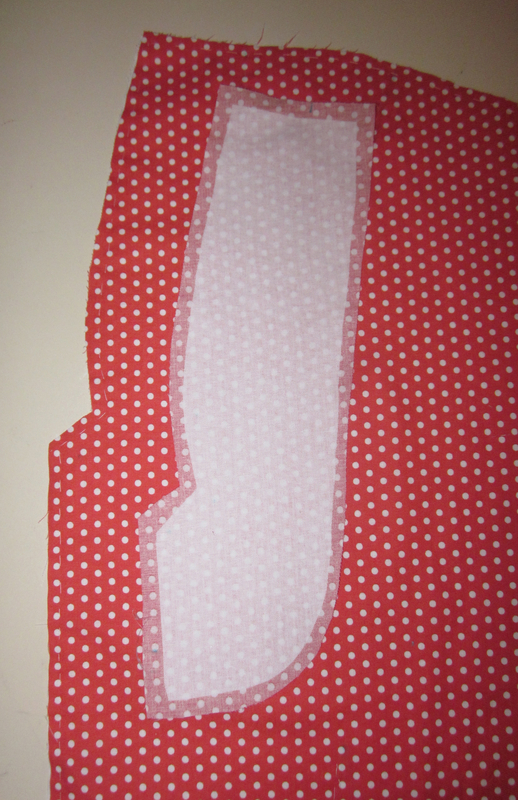 As I’ve mentioned before, my favorite part of a sewing project is the first construction seam. 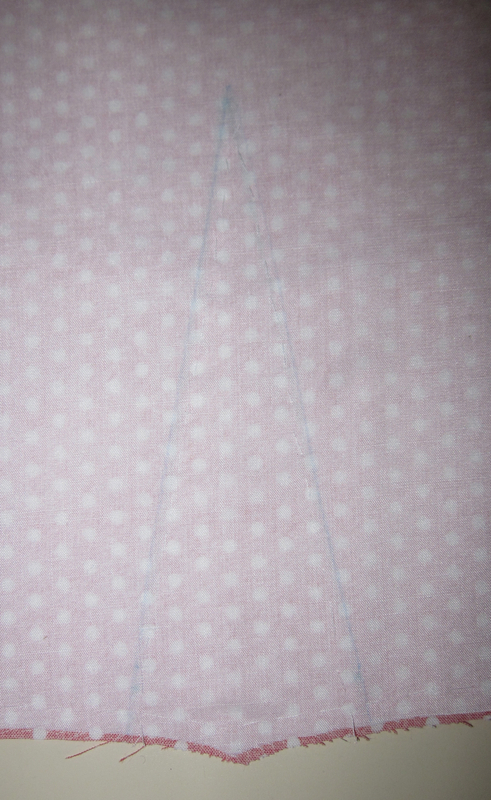 Alas, three hours of work on my 1950s top and no construction seams today. Actually no machine stitching at all. Today was all about the preliminaries. After happily remembering that I had already cut out the fashion fabric when I cut out the skirt, I moved on to cutting out the batiste for the underlining. 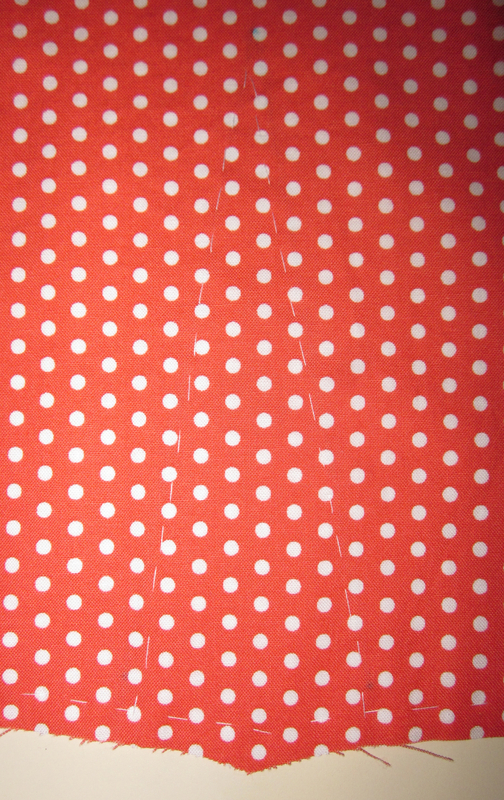 When I started marking it, I realized that all the marking I had done on the fashion fabric was a total waste of time. I only need to mark the underlining fabric. Doh! So, I ended up making all those marks again. And there are six darts and four tucks. Drat, I dislike marking as it is. Next, I hand-basted all the underlining and fashion fabric pieces together. That took quite a bit of time, especially with the aforementioned darts and tucks. If you look closely at this dart, you can see the hand-basting I did to secure the underlining. Here is the outside of the same dart. After that was fusing the interfacing to the facing pieces, with a little backtracking when I couldn’t find the sleeve facings cut of fashion fabric. I think I cut them, but where could they have gone? So I cut them out for what may very well have been the second time. Here is one of the neckline facing pieces (on top of the bodice front) showing the woven fusible interfacing after fusing. After cutting those extra pieces, I’m still hoping I have enough fabric to make a matching belt. The fabric will have to be pieced, for sure. Now everything is underlined, and everything is fused. But I ran out of juice right around the time the game ran out of innings. (I like to sew while watching Giants baseball.) I’ve been staying up way too late all week, and it caught up with me this weekend. But the very next step? A construction seam! I think I’ll save that for tomorrow. You’ve done an excellent job detailing the steps for the preparation for sewing. The degree of preparation is always evident in the final product. Many sewers don’t take the time to do these steps. It all pays off. Great going. Thank you! I hope you are right. I’ve pinned most of the bodice pieces to my dress form for a “sneak peek.” I love how it looks so far.